2016 Martin Truex Jr. will be vying for his second win of the NASCAR Sprint Cup season and his first career victory at Michigan International Speedway. 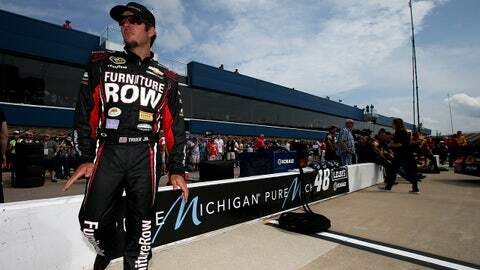 Furniture Row Racing driver Martin Truex Jr. may be from Mayetta, N.J., but during the FireKeepers Casino 400 on Sunday at Michigan International Speedway (FS1, 1 p.m. ET), he’ll be racing on what he considers a home track. Truex Jr.’s girlfriend Sherry Pollex is from Brighton, Mich. native and she is an avid fan of the Detroit Red Wings. Canadians Cole Pearn, crew chief of the No. 78 Furniture Row Racing Toyota, and team engineer Ryan Kelly also see Michigan as home turf, as it’s the closest track to their hometown of London, Ontario. "Let’s just call Michigan an adopted home track and state," said Truex Jr. "We have a blast each time we go to Michigan, catch a lot of fish — and please don’t ask where because I am not giving away any secrets where the fish are biting." He might not be giving away his favorite fishing spot, but Truex Jr. did dish on the disappointments of Monday’s rain-delayed race at Pocono Raceway. "We didn’t hit it right in Pocono and had a couple weird incidents on pit road that prevented us from making any kind of move," said Truex Jr. after finishing 19th at the Pennsylvania track. "You take what is given to you and move on. And right now it’s all about Michigan." Truex Jr. had a pair of third-place finishes at MIS last year, but victory at the track has eluded him throughout his career. 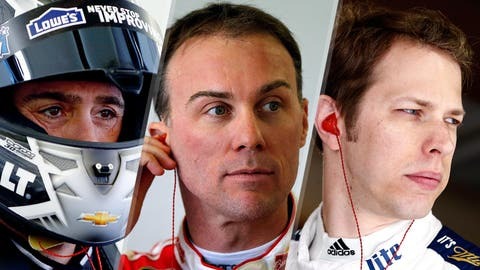 After winning the Coca-Cola 600 in dominating fashion — leading 392 of 400 laps — he will be searching for his second victory of the season in the Irish Hills.